You're Here: Home / Blog / Digital Signage / Harry Potter’s premiere – streamed live on JCDecaux’s digital billboards. Pleased to be behind the screens. Harry Potter’s premiere – streamed live on JCDecaux’s digital billboards. Pleased to be behind the screens. UK’s first live footage of a London film premiere streamed on outdoor screens will take place tonight (7 July) and will be aired on 10 of JCDecaux’s Transvision screens in 9 major train stations across the city. Our technical team will be ”behind the screens”, maintaining and monitoring the digital billboards, making sure they’re up and running for those commuters and fans who can’t make it to the big event. 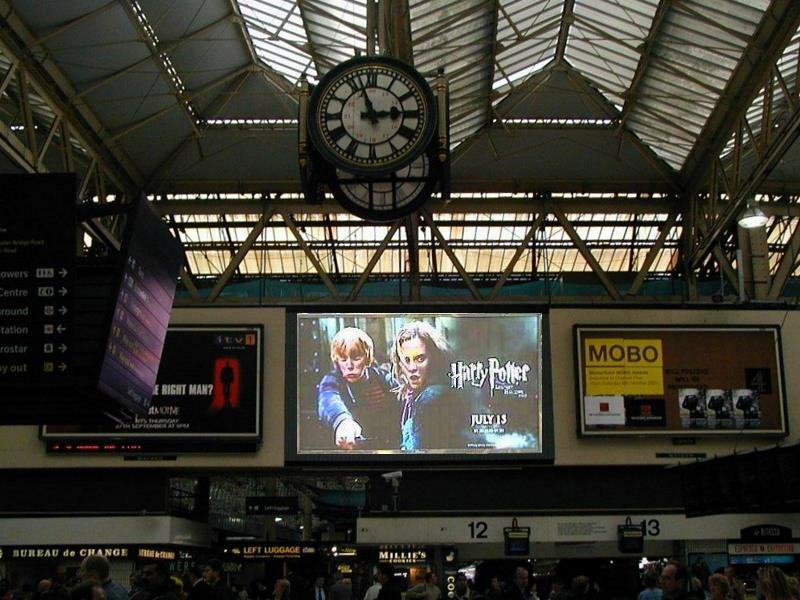 Ads about the world premiere of the movie ”Harry Potter and the Deathly Hallows- Part Two” can already be seen on JCDecaux’s digital sites across London. A text commentary will complement the live footage for offering remote viewers the richest amount of information possible. It’s not the first time JCDecaux creates unique digital out-of-home experiences for London commuters. UK’s first augmented reality campaign was hosted on its Transvision screen at London Victoria, mesmerising the public and creating stunning results in terms of brand equity and sales for the Unilever owned- Lynx. This entry was posted in Digital Signage, News and tagged advertising by Dynamax. Bookmark the permalink.